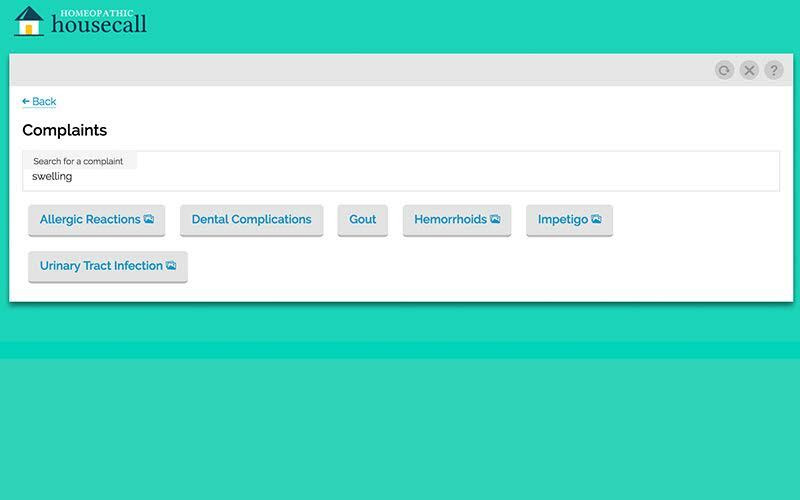 To begin, click your username and select Dashboard. 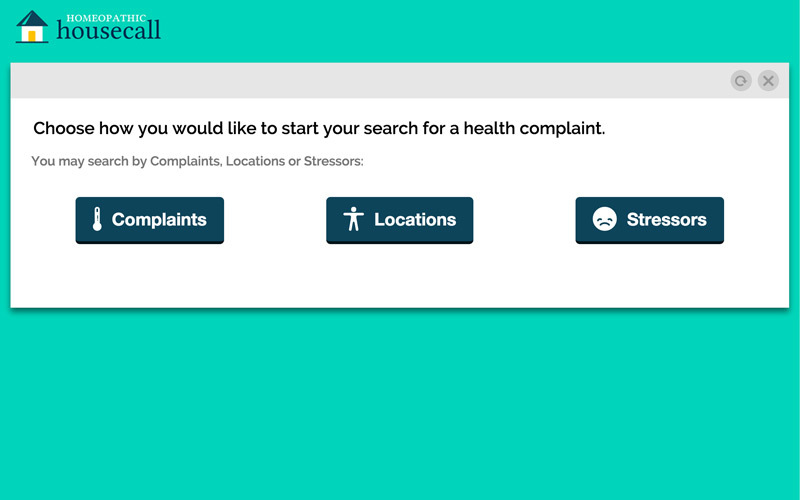 Step 2:Choose your search method: Concerns/Locations/Stressors. Step 3:Choose your health concern. You can search or select from a list. 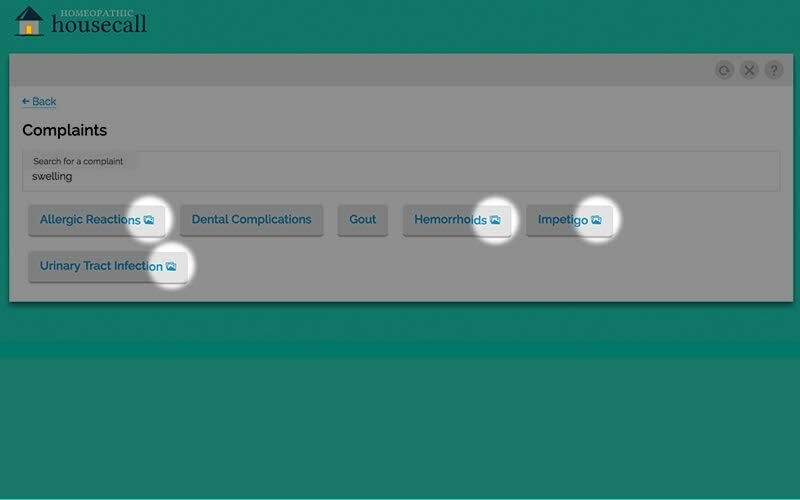 Step 3:Access relevant media content (pictures, documents, and videos) by clicking on these icons. 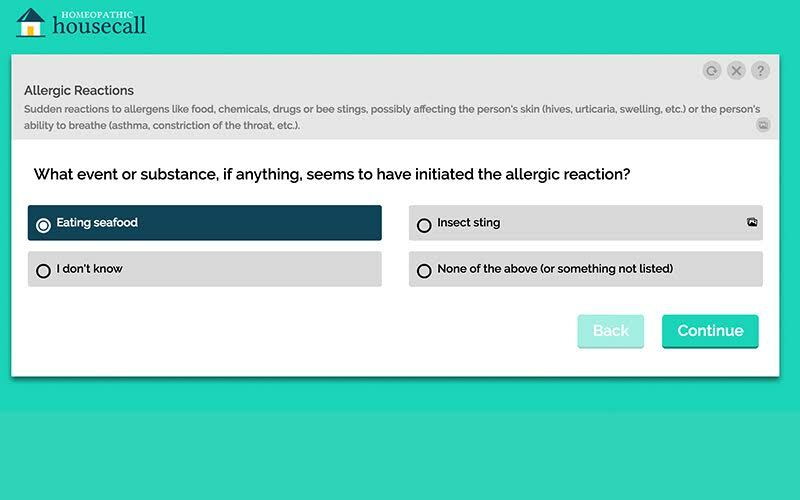 Step 4:Answer a series of questions to get your results. Step 4:You can also access media content at this stage. 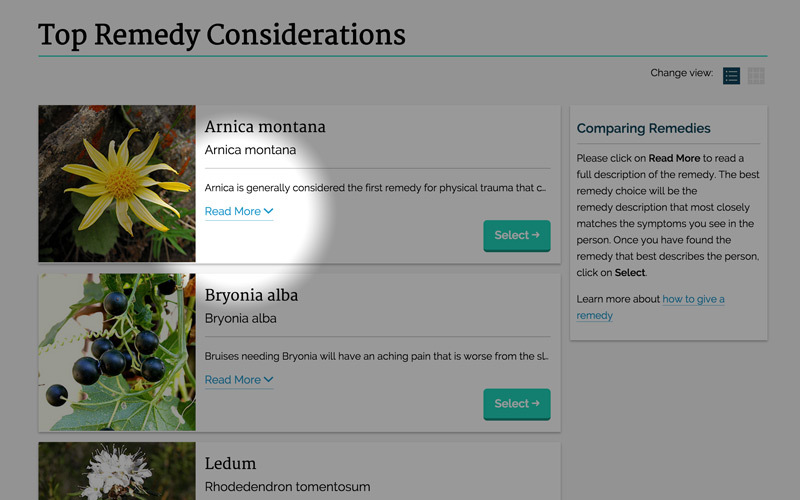 Step 5:In the results window, click on each remedy to read a full description. 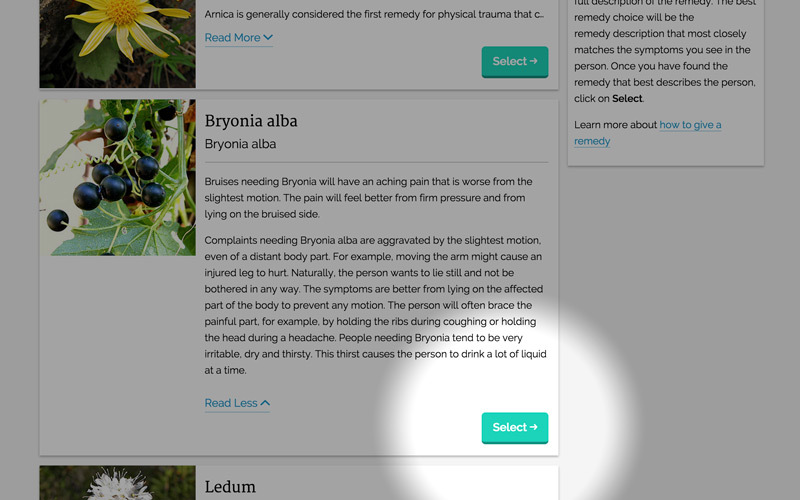 Step 6:Select the remedy with the best description of the person’s symptoms. 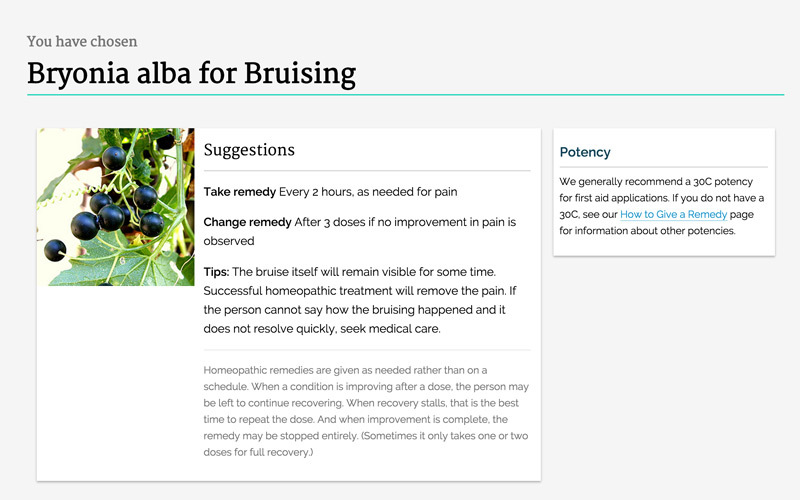 Step 7:Read the suggestions for taking the remedy. Step 8:click here to report your results. 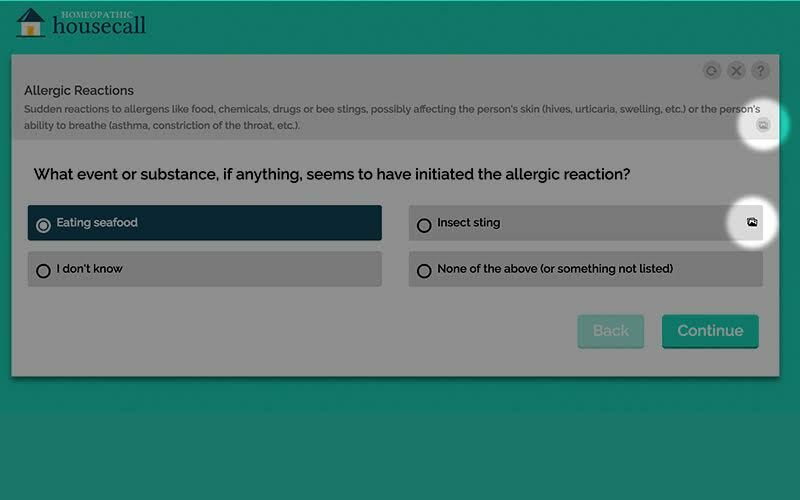 It helps improve this product, and has the potential to help homeopathy as a whole! 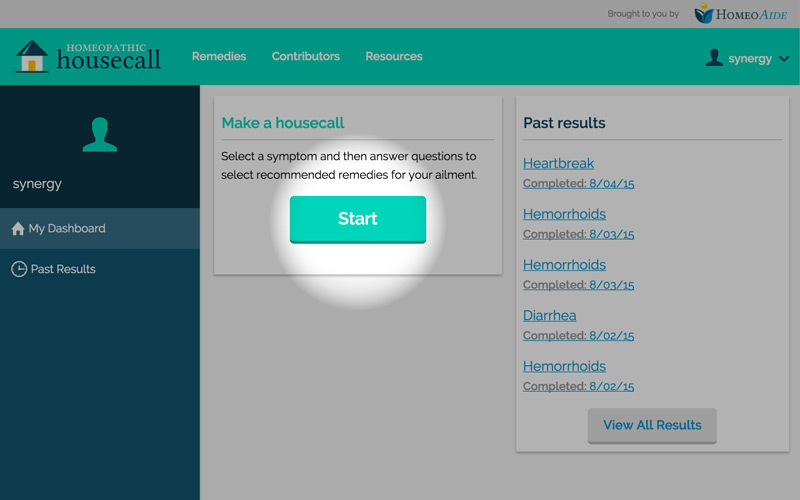 Homeopathic HouseCall is an innovative web application designed to help both medical practitioners and families find effective homeopathic remedies in acute-care and first aid situations. 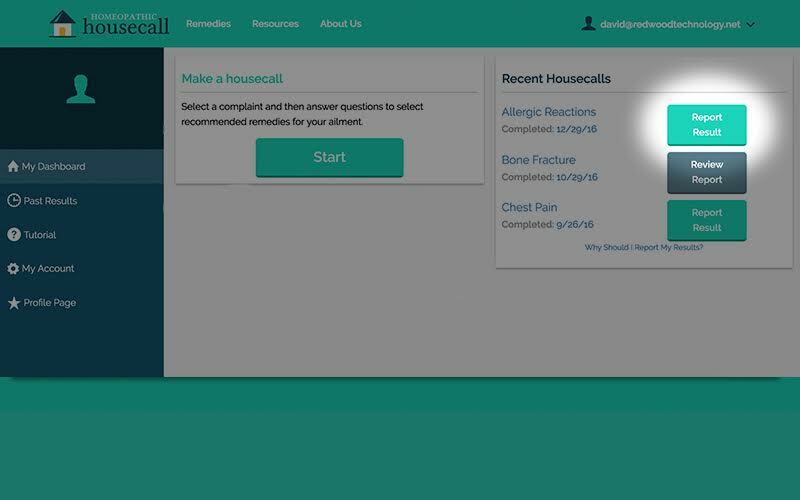 Because we’re online when you are, Homeopathic HouseCall is available day or night, home or office, on any internet device. 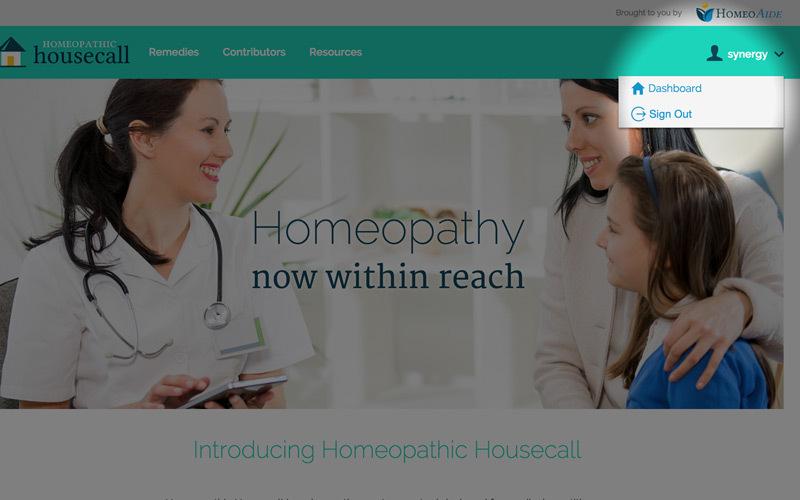 Our team of homeopathic experts brings more than 120 years of clinical experience directly to your door when you need it most! Put our minds to work for you!! Homeopathy uses safe, nontoxic doses of natural substances to stimulate your body to heal itself. Homeopathy is a 200-year-old system of healing that has been proven to be effective for a variety of health concerns. Homeopathic remedies are regulated by the FDA and manufactured according to stringent standards. Homeopathic Housecall is based on Dr. Constantine Hering’sThe Homoeopathic Domestic Physician..